Thoughts on thyroid triggers and cold weather. When your body’s regulatory systems are working well your body can maintain an ideal core body temperature, even when the outside temperature plummets. However if you are feeling the cold all the time, especially during winter it could mean your body’s thermoregulatory systems are out of balance and your body is finding it much harder to keep warm. The average normal resting body temperature of an adult is generally accepted as 98.6 Fahrenheit, or 37 degrees Celsius. If you have a thyroid disorder you probably already know you just don’t seem to tolerate the cold as well as those around you. Or you may notice you feel the cold more than normal. Have you checked your resting body temperature? A drop in your body temperature, even by a degree, can make a significant to how you feel. Here are instructions here on how to take your resting basal body temperature. As the weather cools your body is forced to work extra hard to maintain your ideal body temperature. If your body is struggling to stay warm you may experience cold intolerance, the term used to describe an abnormal sensitivity to cold temperatures. Cold intolerance can be due to hypothyroidism. Your thyroid hormones regulate your core body temperature at a cellular level. When there is a decline in thyroid hormone activity there is a subsequent drop in metabolic activity which means your body produces less heat. A lower than normal body temperature is therefore a strong indicator your thyroid is functioning below par. Low thyroid hormone activity = less heat is produced by your body. Hyperthyroidism. Cold intolerance can also be a complication of hyperthyroidism. Many people with this thyroid disorder have low body weight. Both body fat and muscle mass keep you warm. Your hypothalamus is out of sync. The hypothalamus is an important endocrine gland located within your brain. It regulates a range of activities including your core body temperature. As the days get chilly in the northern hemisphere it’s a good time to start thinking about preparing for the colder months with some adjustments to your diet and lifestyle. It’s now the ideal time to incorporate more foods that create warmth within your body. Think nutritious stews, curries, risottos, freshly made soups and stewed fruit for dessert. If you have been following a predominantly raw food diet over summer you definitely want to consider eating less raw foods as they are cooling to the body. While you can’t control the weather, you can take steps to keep warm even on even on cold and gloomy days. Keep cosy and layer up with a scarf and warm clothes to prevent the cold from seeping in. When the days get colder and darker it’s even more important to stay balanced to safeguard your thyroid health. Avoid letting yourself get run down and get regular sleep. Rest is vital to maintain your resistance to colds and flu’s. Now is the time strengthen your body’s immune system so you are less susceptible to colds and flu. Here are five natural remedies to help you stay well this winter. This herb has traditionally been used to help reduce the symptoms associated with the common cold, such as fever, sore throats and coughs. This herb is traditionally used for the symptomatic relief of coughs and colds. If those around you are sick it can also be taken to help prevent infections. Vitamin C This vitamin is important for healthy immune system function. It may also help reduce the severity and duration of symptoms of the common cold. Vitamin D3 It’s now well established that this nutrient plays an important role in keeping you well all winter long. Research shows a drop in vitamin D3 levels during the winter months can make you more likely to catch a cold or flu. Zinc is found in virtually every cell of your body as this mineral supports a range of important biochemical pathways. Zinc is often recommended during winter as it helps maintain healthy immune function. Click here, to read MORE articles from Louise O’Connor. Stay up-to-date, get subscriber-only discounts, great articles and stories that inspire, on all things thyroid! 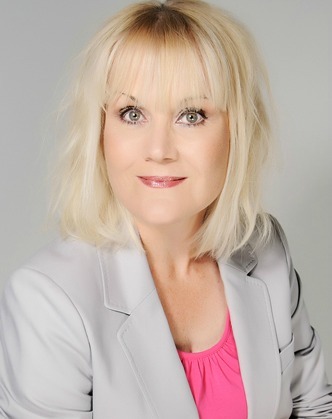 Louise O’Connor is a leading Australian Naturopath + Wellness Coach who graduated from the Endeavour College of Natural Health, Brisbane Australia in 1995. She is a registered Naturopath with the Australian Traditional Medicine Society (ATMS), the peak association of natural medicine practitioners in Australia. She educates and writes on thyroid health. Louise embraces a holistic approach to thyroid health and advocates seeking out and treating the underlying causes, rather than just addressing the symptoms. Louise is the author of the top selling e-Book: The Natural Thyroid Diet. The 4-Week Plan To Living Well, Living Vibrantly. Be sure to Follow her on Facebook and Twitter. While you’re at it, PLEASE ‘Like’ Thyroid Nation on Facebook and follow us on Twitter and Thyroid Nation RADIO. Questions or anything to ask Louise about cold weather thyroid triggers? We’d love your thoughts in the comments section! If I am feeling cold at rest esp through the night,and cold on warm summer days could this indicate a need to increase thyroid tablet?